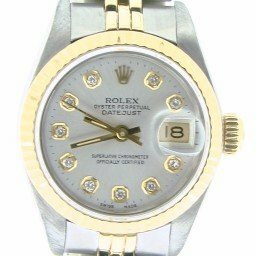 The most versatile Rolex dress watch for women, the Rolex Datejust ladies two tone timepiece can seamlessly go from day to night, boardroom style to weekend chic, and perfectly match with any other jewelry or accessory pieces. 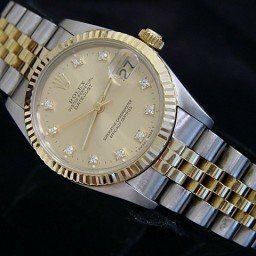 Both important womens watches in Rolex’s archives, the Datejust ref. 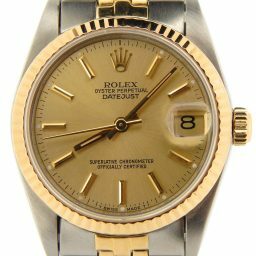 6917 and the Datejust ref. 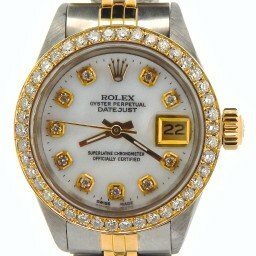 69173 are just a couple fantastic examples of the classic Rolex Datejust ladies two tone watch. We think you will agree, these watches are truly stunning on the wrist. Our fine collection of lady Datejust two tone watches are 26mm with a variety of dials and bezels. Also, the bracelets feature yellow gold with stainless steel.  Keep in mind, each purchase comes with a 30-day money-back guarantee, free U.S. shipping and available financing. In addition, our qualified customers enjoy added value with our Lifetime TradeUp program. So, please contact us if we can help you select your perfect timepiece. 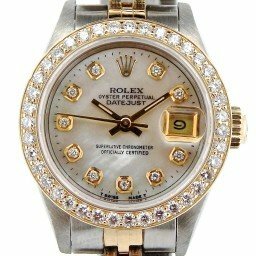 If there’s one watch that proudly shows off its “Rolex-ness,” it’s the two-tone ladies’ Datejust watch. 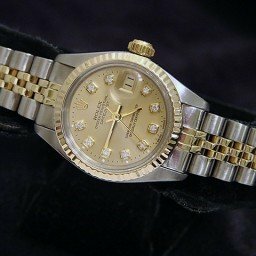 With its classic looks and signature blend of steel and yellow gold, the two-tone Datejust for women is instantly recognizable anywhere it goes. So, today we explore two popular two-tone ladies’ Datejust references, the Datejust 26 ref. 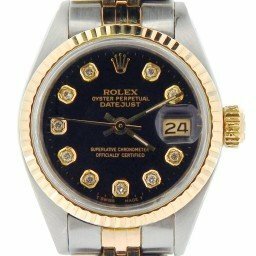 6917 and the Datejust 26 ref. 69173 to see how they stack up against each other. 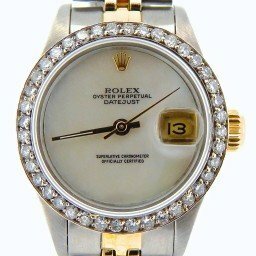 Rolex manufactured the two-tone ladies’ Datejust ref. 6917 from the mid-1970s until the mid-1980s. 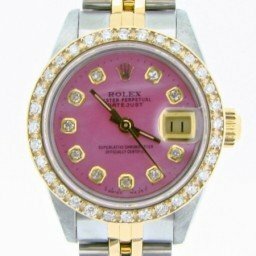 Rolex then followed up that reference with the newer two-tone ladies’ Datejust ref. 69173, which was available from the mid-1980s until about 1998. 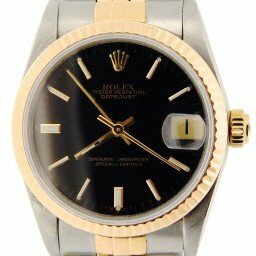 In terms of design, the Datejust ref. 6917 and the Datejust ref. 69173 are quite similar. 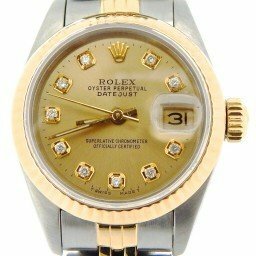 Both of these two-tone ladies Datejust watches include a 26m steel Oyster case, a yellow gold fluted bezel, and yellow gold center links on the steel Jubilee or Oyster bracelet. 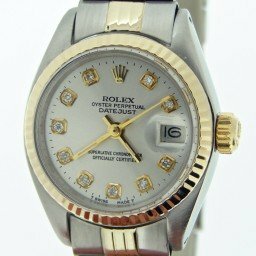 One major difference between the Datejust ref. 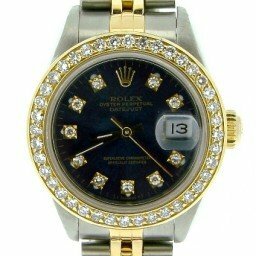 6917 and the Datejust ref. 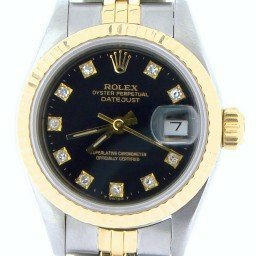 69173 is the crystal sitting above the dial. Although both models sport the signature Cyclops magnification lens to make the date window at 3 o’clock more legible, the Datejust ref. 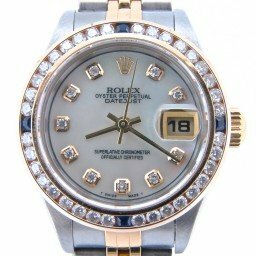 6917 has acrylic crystal while the Datejust ref. 69173 includes scratch-resistant sapphire crystal. 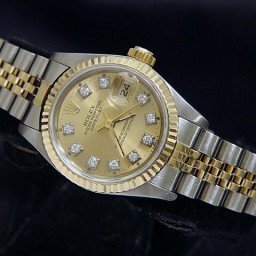 Like most women’s Rolex watches, all two-tone ladies’ Datejust timepieces rely on automatic mechanical movements to power their time and date functionalities. 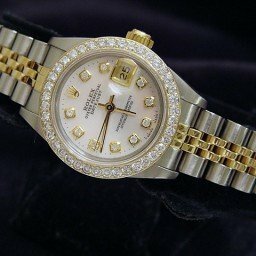 However, there are differences between the calibers that drive the two-tone ladies’ the Datejust ref. 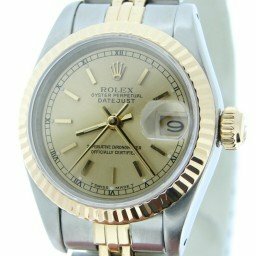 6917 and its successor, the Datejust ref. 69173. 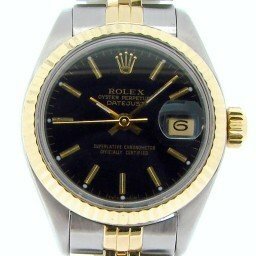 As an older model, the Datejust ref. 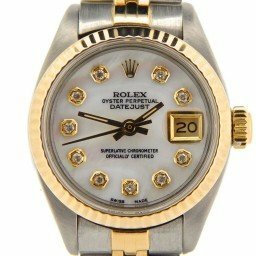 6917 runs on Rolex Caliber 2035, which includes the hacking function—where the seconds hand halts when the winding crown is pulled out—but not the quickset feature. On the other hand, newer Datejust ref. 69173, powered by Cal. 2135, does offer the practical quickset functionality. 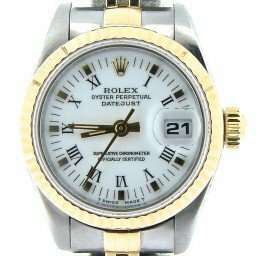 This means that the wearer can set the date quickly, independent from the center hour and minute hands. Considering their prestige, luxuriousness, and distinct design, both the two-tone ladies’ Datejust ref. 6917 and the two-tone ladies’ Datejust ref. 69173 offer incredible value in the secondary market. As expected, the newer Datejust ref. 69173 is slightly more expensive than its predecessor, however, both models start well below $3,000. 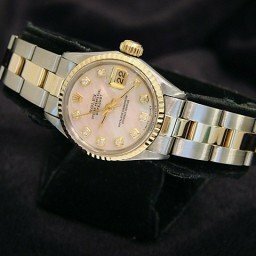 At the top end of the price range, a pre-owned two-tone ladies’ Datejust ref. 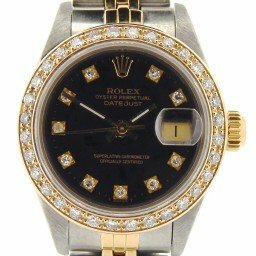 69173 with a factory original Rolex diamond dial can be had for around $6,900—bearing in mind that a new stainless steel Datejust with simple stick indexes retails for well over $7,000, that’s a great deal indeed! 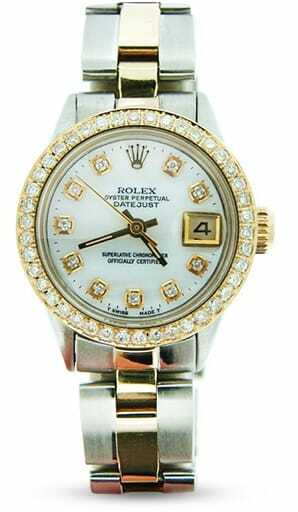 When Rolex first launched the Lady Datejust in 1957, the collection of luxury watches for women quickly grew in popularity. 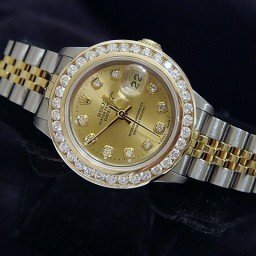 A particularly popular version of the Datejust for women is the two-tone model and given its versatility, that’s not surprising at all. 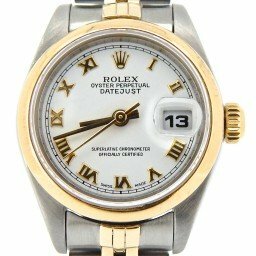 After all, a dress watch that sports both yellow gold and stainless steel means that it can match almost any woman’s jewelry, whether gold, silver, platinum and so on. Therefore, it’s easy to wear all the time paired with almost anything in one’s wardrobe. 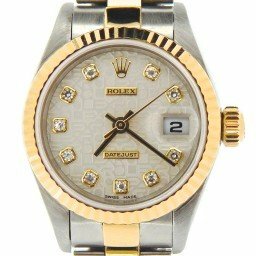 While the model has certainly developed over the last six decades, Rolex has maintained the overall style of the two-tone ladies’ Datejust 26 watches. The 26mm Oyster case is fashioned in steel and is embellished with a yellow gold bezel and a yellow gold winding crown. There’s also the center yellow gold links on the bracelet—either Jubilee or Oyster—flanked by outer steel links. In celebration of the cherished two-tone ladies’ Datejust, we explore five different generations to examine how the lineup has evolved over the years. 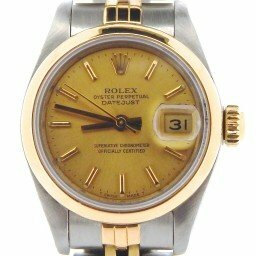 An early example of the two-tone ladies’ Datejust, the models that carry the reference numbers 65xx were produced during the 1960s until the mid-1970s. Protecting the face of the watch was a layer of acrylic crystal. 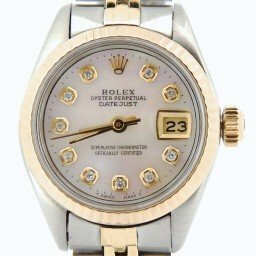 Of course, on that crystal—and every subsequent Datejust crystal since—sits the famous Cyclops lens charged to magnify the date window at 3 o’clock by 2.5 times. 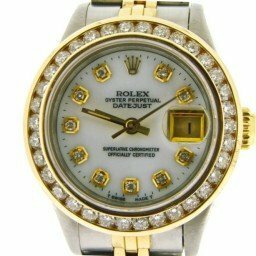 Two versions of the two-tone ladies’ Datejust from this era include the Datejust ref. 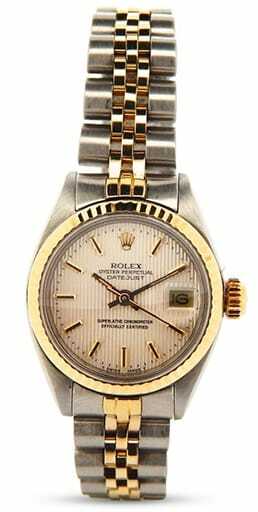 6517 with a yellow gold fluted bezel and the Datejust ref. 6516 with a yellow gold smooth bezel. 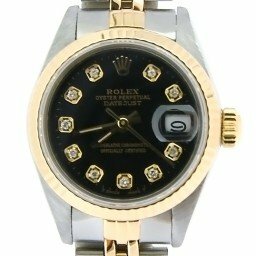 From the mid-1970s until the mid-1980s, Rolex manufactured the two-tone ladies’ Datejust ref. 69xx models. Again, they feature 26mm Oyster cases furnished with acrylic crystals. 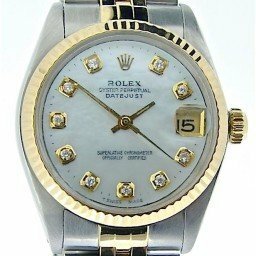 These particular versions run on the Rolex Caliber 2035 automatic movements, which includes the hacking feature whereby the seconds hand comes to a complete halt when the winding crown is pulled out. These automatic calibers do not, however, have the quickset date function. 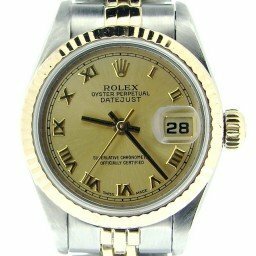 As a result, to change the date, the wearer has to continuously turn the hands around the dial past midnight until the correct date appears in the window. 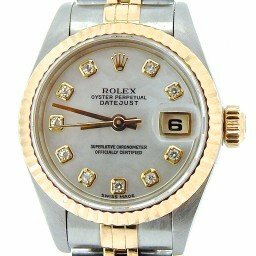 The pair of two-tone ladies’ Datejust watches from this period includes the Datejust ref. 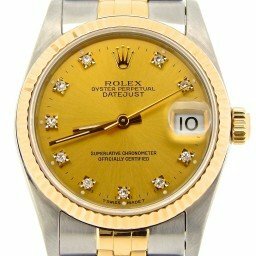 6917 with a yellow gold fluted bezel and the Datejust ref. 6916 with a yellow gold smooth bezel. 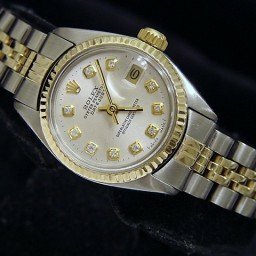 The following decade, from the mid-1980s until the late 1990s, saw the production of the five-digit two-tone ladies’ Datejust ref. 69xxx watches. 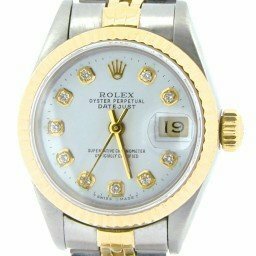 This time, however, set onto the 26mm Oyster cases are scratch-resistant sapphire crystal rather than acrylic. 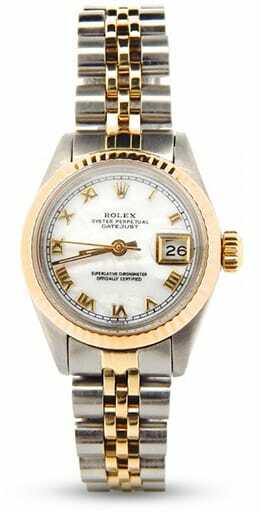 The newer model also brought about the then-new Rolex Caliber 2135 automatic movement to the lineup. 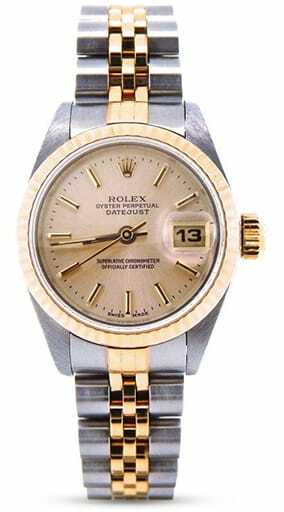 Consequently, this two-tone ladies’ Datejust benefits from the super practical quickset date function. This is where the date is adjusted independently from the center hour and minute hands. Similar to preceding collections, two versions of the two-tone ladies’ Datejust from this period include the Datejust ref. 69173 with a fluted bezel and the Datejust ref. 69163 with a smooth bezel. 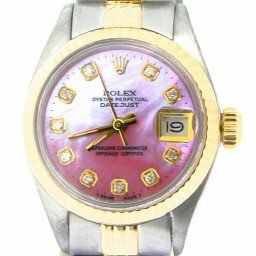 Towards the end of the 1990s, Rolex unveiled yet another updated collection of the two-tone Lady Datejust, this time with the reference numbers 791xx. 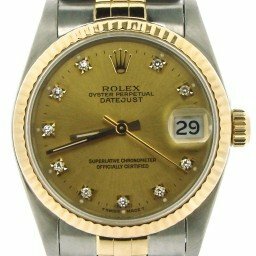 While this lineup of Datejust watches retained many of the earlier design details—26mm Oyster case, sapphire crystal with the Cyclops lens over the date, and the choice of Jubilee or Oyster bracelets, they did also boast the latest Rolex Cal. 2235 automatic movement—a movement that still powers many of Rolex’s current women’s watches. 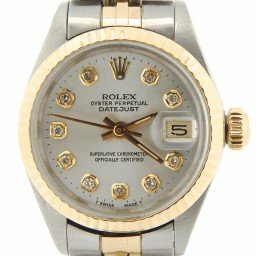 Within this family of 791xx models, Rolex offered three different versions of the two-tone ladies’ Datejust. There’s the Datejust ref. 79173 with a fluted bezel, the Datejust ref. 79163 with a smooth bezel, and the Datejust ref. 79383 with a diamond-set bezel. 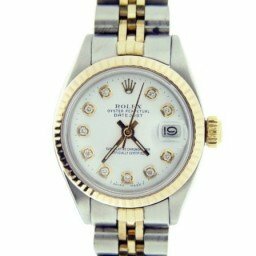 The two-tone ladies’ Datejust watches with the 179xxx reference numbers are, in fact, the last versions of the Datejust 26. 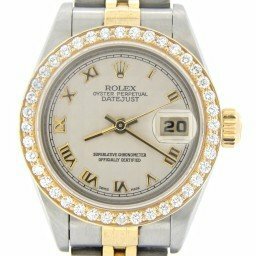 Rolex made these models from the early 2000s until they were eventually replaced by the slightly larger Lady Datejust 28 in 2016. Almost identical to the previous 791xx family, the newer two-tone ladies’ Datejust ref. 179xxx watches feature heavier and sturdier Jubilee or Oyster bracelets with updated clasps. 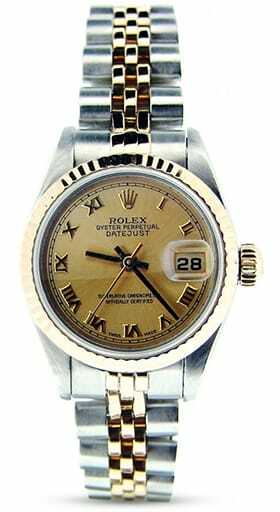 The different versions include the Datejust ref. 179173 with a fluted bezel, the Datejust ref. 179163 with a smooth bezel, and the Datejust ref. 179383 with a diamond-set bezel.